The year is 2312. Scientific advances have opened gateways to an extraordinary future. Earth is no longer our only home; new habitats have been created throughout the solar system, on moons, planets, and in between. But in 2312, a sequence of events will force humanity to confront our past, present, and future. The first event takes place on Mercury, in the city of Terminator, itself a miracle of engineering on an unprecedented scale. For Swan Er Hong, it will change her life. Once a designer of worlds, now Swan will be led into a plot to destroy them. 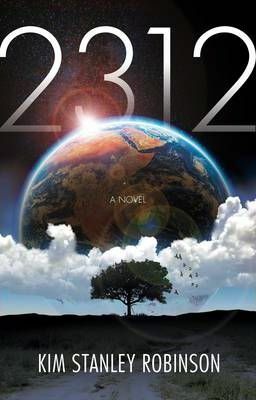 2312 is a bold vision of humanity's future and a compelling portrait of those individuals who will shape its events. Kim Stanley Robinson has won the Hugo, Nebula and Locus awards. He is the author of over twenty previous books, including the bestselling Mars trilogy and the highly acclaimed FORTY SIGNS OF RAIN. He lives in Davis, California.